Time and again, foreigners are choosing Medellin as their holiday destination. And no wonder! The beautiful landscapes and nature, the people, the vibrant cities an of course all the Latin Dance makes Medellin the perfect location to dive into a whole new world. So, Are you a Salsa enthusiast that enjoys dancing all sorts of music, having some drinks or simply enjoying the night view? Here we got for you some great options for things to do in Medellin. 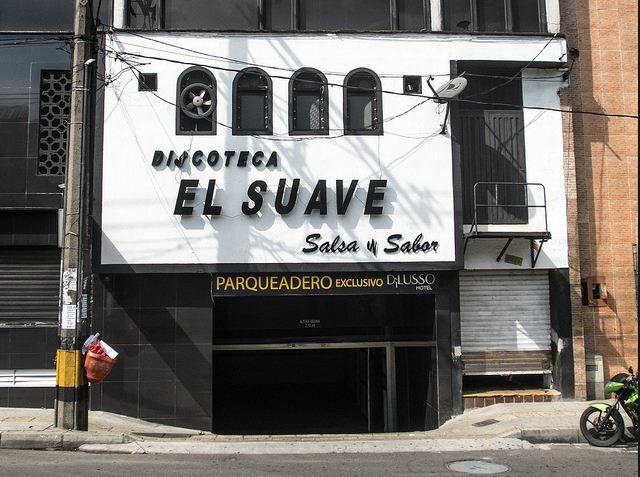 This nightclub is synonymous with the history of Salsa in Medellin. Founded in 1974, this place is a tribute to Afro-Antillean music. It is located on Calle Colombia (Calle 50) near the Atanasio Girardot Stadium. In El Suave sounds Salsa suave (soft Salsa), as its name states. This music refers to old loves and makes people sing softly. Thus, inviting them to take a drink with each song that touches the soul. Music is carefully selected and of high quality, pleasing those who love to go out and listen to Salsa. It has two floors, both with tables to sit while enjoying the music, and a great dance floor. Attendees are usually Colombians who know a great deal about Salsa. They are passionate about listening and dancing this genre. This nightclub is a salsa lover’s paradise and the unpretentious atmosphere means you need not be an expert to come and move your body. Drinks are well priced and you don’t even need to bring a partner to dance with. Great idea for things to do in Medellin, isn’t it? This place of one of the most exclusive sites of Salsa in the city of Medellín. 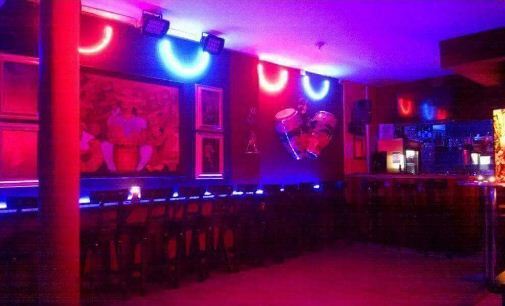 It is a small and comfortable place, where the decoration portrays the fashion of old school dancers from the time of the Salsa boom (70’s). Moreover, it has a dance floor and a stage with instruments for live performances. Carlos Zapata (trumpet) tends to play with various special guests, sometimes even with local or national orchestras. Salsa and Son Cubano take over the place through their Caribbean rhythms. In the meantime, people are dancing or holding charming conversations while spread out around the place enjoying the music. Certainly, a great choice for things to do in Medellin. Where? Encantigo Bar is located on Calle San Juan (Calle 44) with Carrera 73. It is easy to get there by bus, Metro or walking to this bar that opens its doors from Thursday to Saturday until 4 AM. Address: Cl. 44 # 73-89. Walking around and enjoying the view is your thing? We have some more ideas of things to do in Medellin that may be of your liking. Located on the road to José María Córdoba airport. Las Palmas has two lookouts that offer one of the best options to contemplate the city from a high location, definitely an excellent choice of things to do in Medellin. It is more desirable to go there during the sunsets or at night. There you can enjoy a great variety of “paisa” gastronomy, for example, hot chocolate with “quesito” (cheese) while enjoying the amazing landscape. It is advisable to use something to keep you warm because the temperature in the place is low, especially at night. To get there you need to use a taxi or Uber, or even better if you have your own car. There are no bus routes to get directly to the lookouts. However, you can make use of the public bus transportation that takes that route from the “San Diego” shopping center to get there. 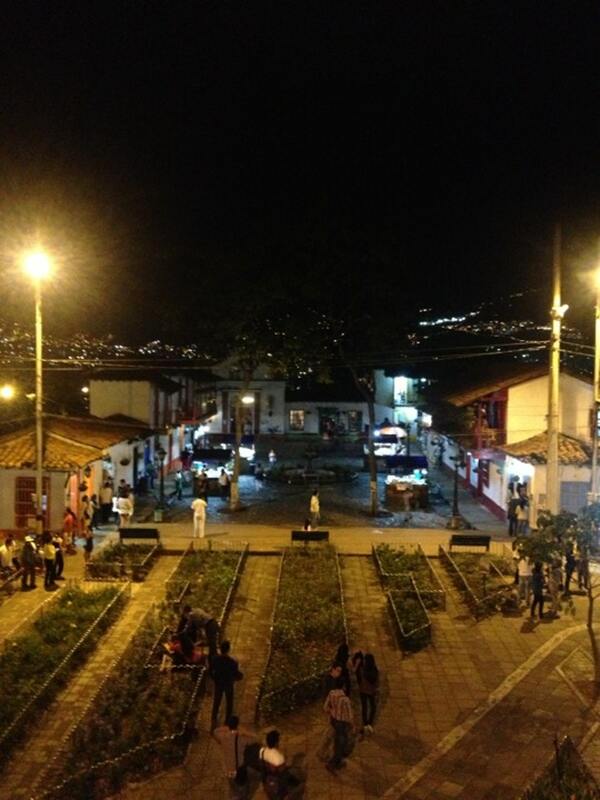 Also known as “Pueblito Paisa” because when you arrive there you will find a replica of a typical town of Antioquia. The “Cerro Nutibara” is one of the mandatory places that you must visit once you are in the city. The entrance is free, has a food area and in the upper part the most attractive place: the lookout. 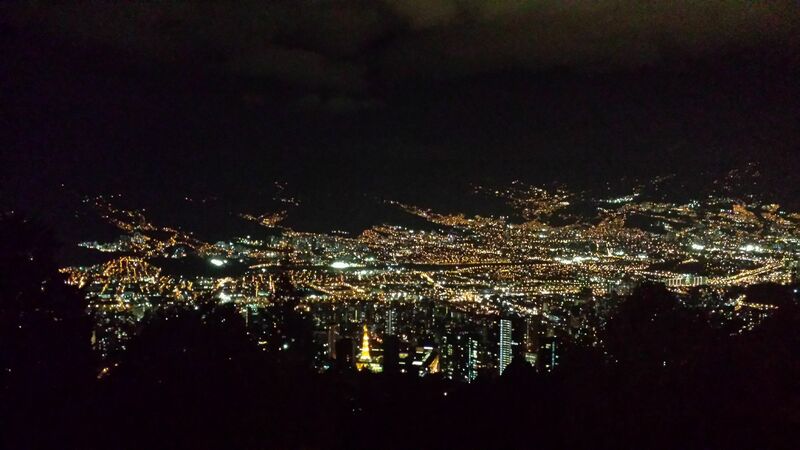 From there you got one of the best views of the city, so as one of the things to do in Medellin, it is a blast. To get to this site, you can do it walking from the street “La 33” (the walk is about 15-20 minutes). Another option may be using other methods of transportation such as private car, taxi or Uber. It is open every day from 6 am to midnight. This is one of the communities in Medellin that has experienced the most remarkable transformation in recent years. After the construction of an escalator, and the design of a series of street art paintings in the neighborhood (graffiti), crime levels in the Commune 13 decreased and it is now one of the safest and most interesting areas of the city to visit. Although you can visit the area safely and on your own, as one of the things to do in Medellin, it is better to do it as part of a group or tour. 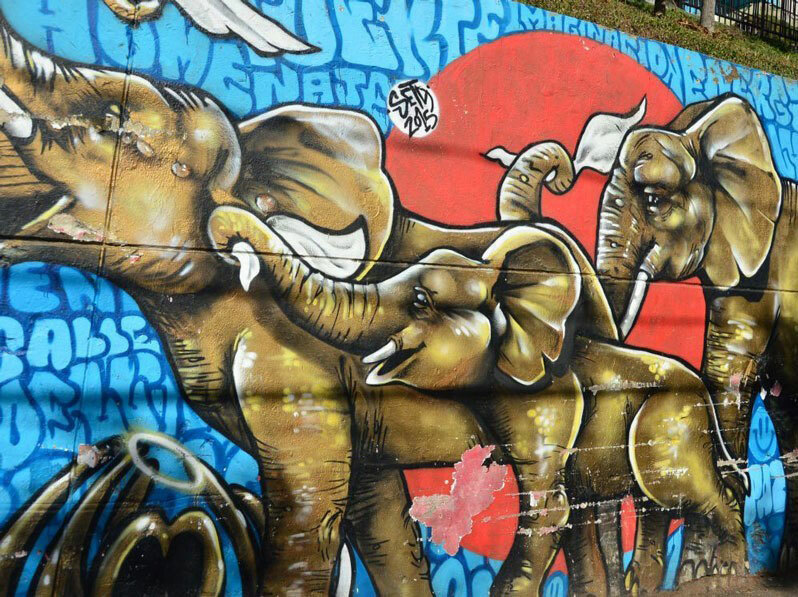 For instance, one of those is the “Comuna 13 Medellin Graffiti Tour”, which not only explains all the best of street art, but it shows you about the history of the neighborhood and how its successful transformation was achieved as well. If you want to do the tour, check out this link, otherwise, you can take the metro. Hop on at Poblado Station and ride the A-Line north. Then change at San Antonio station and head west on the ‘B’ line getting off at the final station called San Javier. From San Javier, you can walk to the escalators in about a half hour, or hop on one of the public buses that say “Escalas Eléctricas” in the window. Want to give it a try to any of these places? Great! Oh, you’re still working on your salsa moves? Relax, take some Salsa lessons with us and own the dance floor! Don’t forget to leave your comment and let us know your opinion!